Baby clothes bouquets with a little plush toy perfect for small hands. 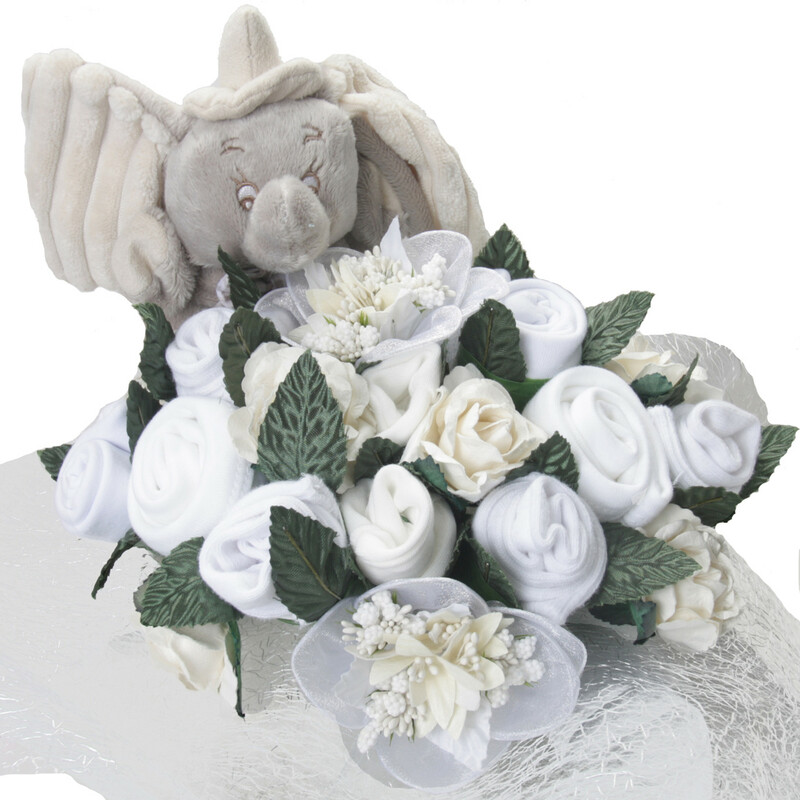 Each bouquets is beautifully presented with Baby Clothes including a vest for 0-3 months, hat, mitts and a pair of socks. Each bouquets is interspersed with artificial leaves and flowers and beautifully gift wrapped with cellophane wrap and gift card with your message. Or we can leave blank if you would prefer to write your own message.